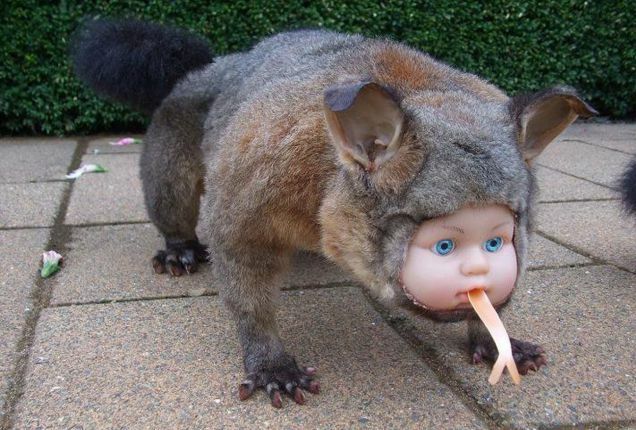 What do you get if you cross a baby’s head, a possum and a bird? You get these very weird creations. 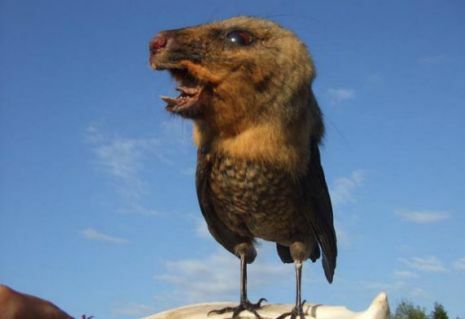 Andrew Lancaster is a taxidermist in New Zealand who has created these strange and wonderful creations from the bodies he has found as roadkill. Scared me, these too weird. . .
Yikes! 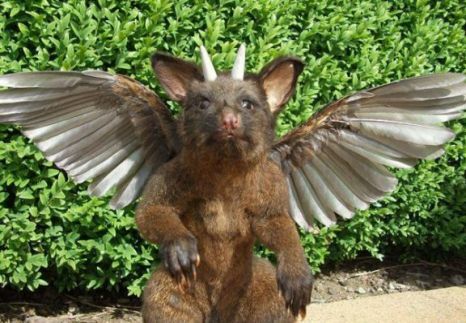 …Now that is some wicked, freaky taxidermy creations! It reminded me of a show (Aliens and Monsters) I seen the other day on the History channel, when they were talking about genetic alterations that could have been performed by ancient alien astronauts. If it were true, it would at least explain some of the mythical madness from the past; cheers!